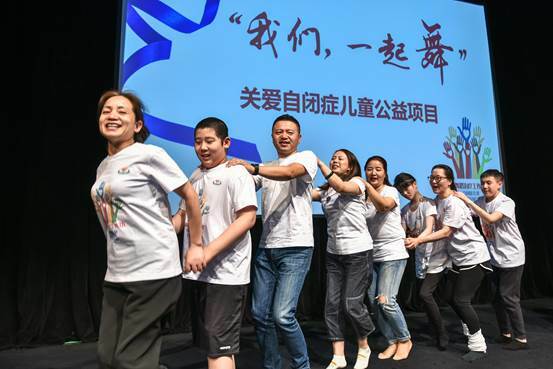 A charity event focused on caring for autistic children was held at the Dance Therapy Workshop of the Shanghai University of Sport on May 17, 2017. A group of 38 teachers and students from Cheung Kong Graduate School of Business (CKGSB) EMBA29 class 5 conducted a cordial interaction and spent a wonderful afternoon with 20 autistic children who were receiving the treatment. On the activity scene, CKGSB students showed their sponsored and produced micro - film "For the People", depicting the autistic children’s life for the audience to have a better understanding of the vulnerable group of autistic children. 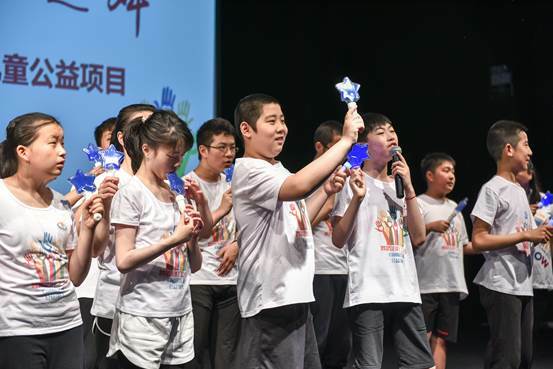 Shanghai University of Sport students performed the dance "marathon" with the autistic children as the theme, and 20 "children of the stars" sang the song "Firefly". 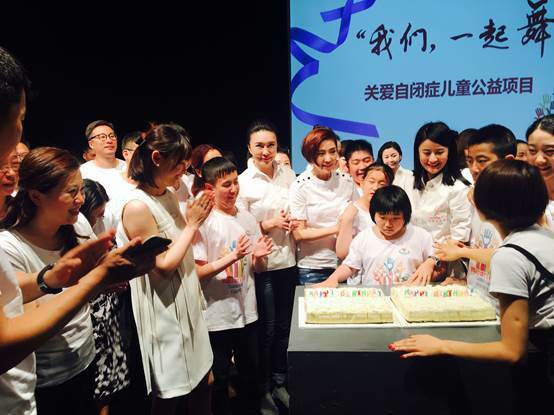 The CKGSB’s volunteers and the Shanghai University of Sport teachers also conducted a "happy gymnastics" course interaction with autistic children on the spot and had a collective birthday party for five autistic children. SSCLF – Han Public Welfare Fund founder Wang Feifei, SSCLF – Safety for Mothers and Infants Fund chairperson Qiu Haining, Shanghai University of Sport deputy party secretary Zhan Meng, and SSCLF deputy secretary general Zhang Houye were present at the activity scene, witnessing the warm and emotional moment. Scientific research shows that most of the autistic children have the ability to feel dancing and entertain dance experience, and dance has a certain curative effect on the rehabilitation of the children with autism. The charity project of "Hope for the stars", funded by SSCLF – Han Public Welfare Fund, is an exploration in the treatment of autistic children with means of dancing in China. The project’s limb development curriculum integrates impromptu dance, body movements, music, painting and props, develops the autistic children’s physical impression skills, improves their existing rigid body movements, thus increases communication with their partners and helps them adapt to the society. The project won the gold award in 2016 Shanghai college students “Youth” public welfare entrepreneurship competition.